There’s only one more week left of school until break which means only two more weeks until my birthday and Christmas! When we haven’t been in classes or been busy with sports my friends and I have been marathoning Christmas movies. In fact we’ve watched Elf about 5 time this past week. My friends think it’s annoying how much I love Elf and that I’m able to basically quote every line but it’s my favorite Christmas movie and one of my favorite movies. Anyways today Amberly let me take a few pictures of her for this blog. Normally she hates getting her photo taken but I convinced her to let me. Don’t those colors suit her so well? I think the oranges and reds look perfect with her blue eyes. 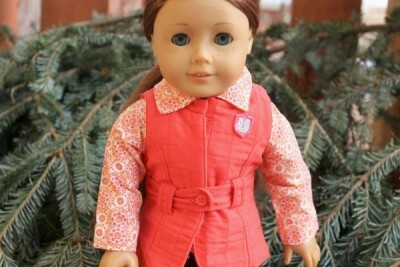 Everything Amberly is wearing is actually from American Girl. 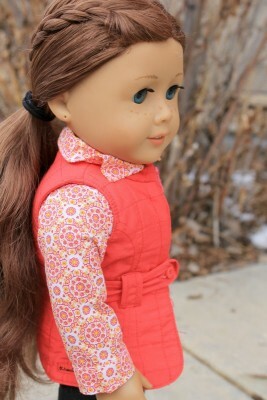 The shirt she’s wearing is one of her riding shirts for when she goes horseback riding but Amberly also loves to wear it around and mix and match it. 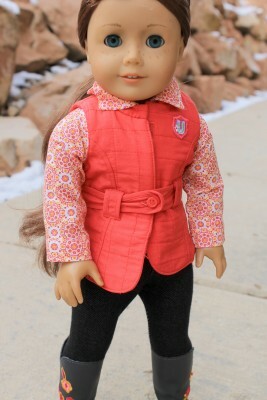 The vest is perfect for autumn and warmer winter weather and same with the leggings. 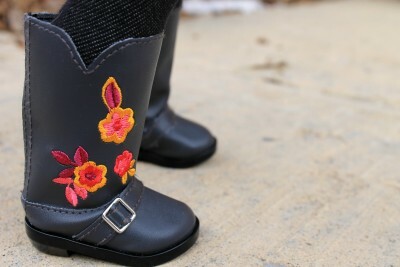 Also aren’t those boots just the cutest? I love the floral designs! 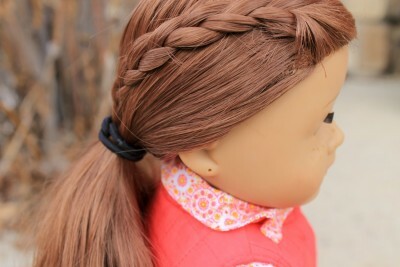 And here are some closeups on her hair that Isabelle insisted I included in the post since she did Amberly’s hair. Isabelle wants to be a hair stylists and normally does much more complex hairstyles but Amberly likes simpler ones like this. What do you think of this hairstyle? Also what’s your favorite Christmas/Holiday movie?